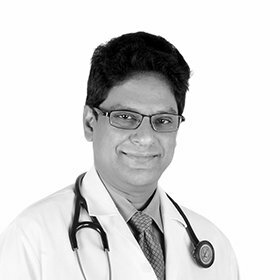 Dr. Darbha obtained MBBS from Rangaraya Medical College Vishakapattanam- India in 1987 and MRCP from London- UK in 2013. He is an Internist with 32 years’ experience . Dr. Darbha’s services offered in the clinic include, consultation and treatment for the common acute infections and chronic conditions including hypertension, diabetes, hyperlipidemia, Asthma and other respiratory problems. He has made a number of presentations and lectures on the topic Diabetes and related complications.